We pride ourselves on our reputation as “Northern California's Pest Control Solution”. Families and businesses in the Sacramento region rely on us to deliver industry-leading pest control and weed control solutions. We specialize in getting your weeds or pests! Our clients reward these features by remaining loyal yearly. Our team of Technicians will evaluate, identify, offer a solution and treat a variety of pest or horticulture issues all within your budget. You don’t have to break the bank for our pest control services Sacramento. After the initial service is complete, we will return to your home every quarter to reapply the outside barrier. On our quarterly visit, we will exclusively be treating a four to a five-foot area around the perimeter of your home. Notification will be left on your front door to let you know your protection has been renewed. We keep you covered. We provide the best pest control service in Sacramento. Just take a look at our reviews! If you do experience a problem inside your home that needs to be addressed, we will gladly provide an inside service at your convenience, at no extra charge. Let us give your home the pest and/or weed solutions that it needs. At Pest Control Center, We Treat Your Home Like Our Own! As you go about in your clean and tidy house, the last things you want to see are spider webs, openings made by rats in your cereal cartons or cupboards or even ants parading your pantry. Insects and rodents are amazing to watch in forests or the outdoors, but when they find their way into our homes, they are not such a pleasant sight. But not to worry, this article and pest control services Sacramento has got you covered. • Causes inconvenience and stress. The mere presence of pests in your home is a big stress alert. Their elimination becomes a nagging thought you can’t seem to do away with until the pests are removed, controlled or completely eliminated. Plus, most pests always leave footprints in the home, footprints that are not such a beautiful sight. It means that you have to do more cleaning or try to kill insects by yourself. As pests (insects and rodents) crawl around, they pick up dirt and microorganisms. When pests make contact with your food, these diets and microbes (that they carry around) infect the food and make it unhealthy for consumption. Pests are the major carriers of diseases. Pests are one of the 3 most deadly causes of diseases because of their ability to transmit them. Mice and rats are carriers of the Hantavirus, Ticks carry Lyme disease, and Mosquitoes are capable of carrying a host of different illnesses, from the West Nile Virus to Zika and even Malaria. Cockroaches spread disease such as the foodborne disease Salmonellosis, while house flies transmit Salmonella, E. coli, Vibrio, and Shigella. Ant and spider bites are sometimes deadly or poisonous. The list goes on. Pests like termites and rodents can give your properties and belongings a facelift that is so infuriating. This is usually a costly thing because you will have to spend some money repairing the property or it may even be a complete loss if it has to do with things like your certificates or documents. Some pests can trigger allergic reactions in the body when they bite you or release chemicals. Who should handle your pest control? Pest control is serious business, one that you shouldn’t be handling yourself. Because, to get the best results (which is what you want), you need the professionals to do the job. Hiring pest control services is the best choice when it comes to pest control because of these benefits. A pest control company does not just go straight to eliminating pests. They begin with an inspection to determine the source, cause, and level of infestation, before treatment. They also do a follow-up after treatment. This approach is systematic and ensures that you are free from pests for a long time. It is always fun to want to take care of pests yourself because you can walk into a shop and buy the chemicals. But do you have or even know the right tools or equipment to use? Well, this is why pest control services are super important. These companies have the right tools; this gives them a technological edge to do the job very well. 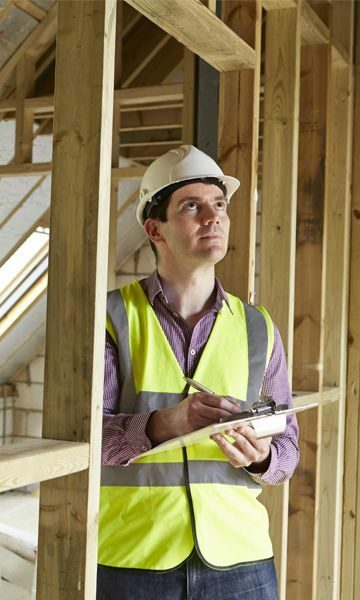 Hiring pest control services mean that safety comes first. These professionals understand the effect of pesticides and ensure they use the correct ones (in the right amount) and apply it in such a way that you and your family are exposed to little or no risk after the application. Consider the amount of money that will go down the drain as you keep trying pesticide after pesticide. Pest control companies know the right pesticide to use in any situation, this saves a lot of costs. When you hire a pest control company, you are free to spend that time doing other important things. It also means that you can sleep easily without running around to kill spiders or seek pest control advice from friends and family. In addition, pests control companies take care of everything, including cleaning out the dead pests. You won’t have to worry about that too. Pest control companies will not only handle your pest situation but will give you information on how to avoid or reduce future infestation. This knowledge is usually a lifesaver. For professional pest control companies, pest control doesn’t end with treatment. They do a follow-up visit to check their work and inspect for new infestations. You see, hiring pest control services is a good use of money after all. 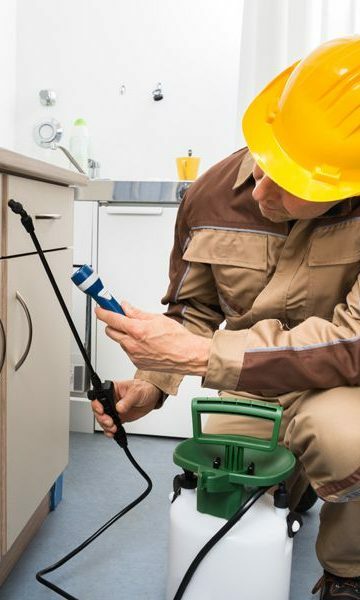 Now you see why you need pest control services Sacramento, but do you know where to get the best professional pest control services, Sacramento? Us – Pest Control Center, Inc.